This blog post details the happy ending after the previous blog post, titled "New Inkscape 0.92 breaks your previous works done with Inkscape," published on January 20th. A lot of reactions followed that blog post and the news became viral quickly. That's why I thought it would nice to make another blog post to "close the case". First, thanks a lot for all the support from all the readers through this adventure! I received a lot of support in the dedicated thread on Reddit, on Twitter, and on G+ about it. The fallout of the issue was immediate: the developers of Inkscape quickly realized how big the problem could get as all the machines update to 0.92: "...that update might do no less than break every diagram, map, etc on wikipedia." -Mc on this mailing-list discussion. I was happy my alert brought the spotlight on this problem, giving it a high priority and triggering actions to potentially save this type of super-diagram we all love to see on the GNU/Linux ecosystem. ♪ ♫ TADAAAAAA!! ♪ ♫ Inkscape version 0.92.1 released today fixes the problem. (You can read the releases notes here and download it here). Many thanks to the Inkscape developers for their hard work! In particular, thanks to Mc for the extra elbow grease as he worked day and night on this, and for hanging around on the Pepper&Carrot IRC channel during this time to inform me and the translators of Pepper&Carrot about the progress, giving tips on compilation, and gathering feedback/test cases for the 0.92.1 branch. It was invaluable! Inkscape 0.92.1 displaying correctly the english translations of episode 9 ; Over 10000 files are now safe! Note: If more artists using Inkscape around want to participate in beta-testing, I can explain in a future article how to compile Inkscape as I did in the guide "building Krita on Linux for cats". Let me know! Now I'm back on detailing/painting episode 21, which should be released soon. License: CC-BY David Revoy, www.davidrevoy.com, 16 february 2017 . LinuxActionShow has been called entertaining by some, but I don't know if anyone has ever accused it of being investigative, insightful, or accurate. Haven't really been keeping up with LAS for the last couple years... Looks like things went downhill after Matt left. Thanks David for posting this update. It's very good to hear of you being involved and your invitation to other users to debug, test and at least communicate with the inkscape project is more valuable than you may know. Why is that a betrayal, I think patreon for free software developer is a good thing. I've just uploaded a script for Ubuntu-based Linux distros that can help with that. My Carrot, those two guys in the discussion video are totally off. They are probably so arrogant they did not prepare for ti well and they are just saying things that come to their mind. Hold on tight David. Thanks for your work on publicizing this issue; developers sometimes forget that breaking users' work is a big NO-NO. And they don't seem to listen to ameteur artist either (unless he/she provide patches, that is). This problem highlight how life-saving the sentiments like "Don't break userspace!" are; and not many developers respect this anymore. So I will not be jumping ship from 0.48 yet; not unless they fix the export page size gambit and the font selection mess at least (will test these later). 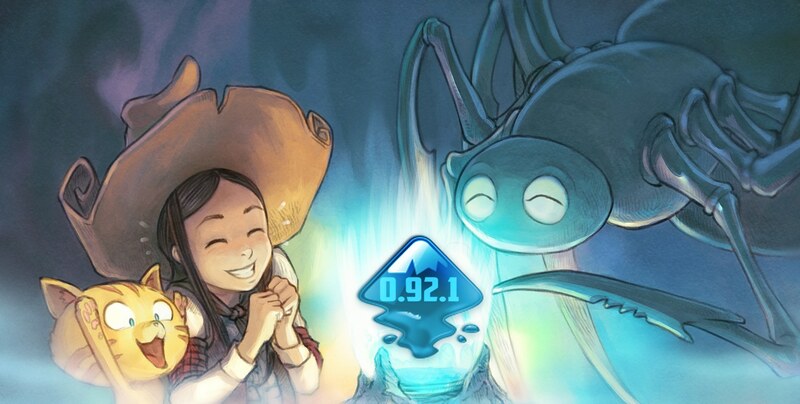 Meanwhile, I will keep an eye on 0.9x, and pray there wouldn't be another show-stopping bug again in 0.93. P.S. I have read their discussion log: they seem to completely ignore that some users (me included) look at the new release solely in the hope that "Finally, this bug is now fixed". So I'm still pessimistic about how they handle bug priority. Anyway, "Building Inkscape on Linux for cats" would be nice too. David, I'm sorry to bother you with this, but 0.92.1 still breaks the text in one (and just one) of my files. Unfortunately, it's a very important file that I need to continue using. You mentioned in the original blog post an extension to convert files one by one, but that wasn't escalable with the large amount of files that you worked with. As I said, I only have one file, could you point me towards that extension? If it's the extension is inx-legacytext, then it doesn't work either... If you have any tip whatsoever, I would be grateful. I had feedback: we need your file to know what is happening. Can you upload it somewhere? Well received. I'll share it with a Inkscape developer. I'll give feedback later by replying your email. Helo Mr. David Revoy, it's the second time I make comment here. Thank you for this case closing. I am glad now so that I will install 0.92.1. Big thanks for you.